Cranbourne Carlisle Primary, which opened in 2010, is a government primary school. The school is located in Cranbourne North, a culturally diverse provincial suburb of approximately 40,000 people within the City of Casey. The school is approximately 50 km south-east of Melbourne. Current enrolment is 495 children in Year Foundation to 6. Cranbourne Carlisle Primary School now employs close to 50 staff: 2 Principal Class Employees, 33 Teaching Staff, 8 Education Support Staff and 4 office staff including first aide. Cranbourne Carlisle Primary School is committed to developing and nurturing the whole child; a child with a positive self-image, who seeks excellence and respects the rights of others. Our intent is to make learning relevant and meaningful for all children. Our focus is on supporting children as capable individuals and as active constructors of their own learning. The caring and multicultural school community works to enable all individuals to realise their personal and academic potential in a challenging learning environment which values curiosity, resilience, respect and collaboration. Academic success is highly valued, along with a strong belief that the all-round development of each individual child is vital. We act with integrity and treat one another with respect, learning together as responsible global citizens. It is with great pleasure and enormous pride that I introduce and welcome you to our school. Our vibrant website is a true reflection of life at our school: happy, energetic, collaborative and engaging. Together, we aim to develop internationally minded people who, recognising their common humanity and shared guardianship of the planet help to create a better and more peaceful world. 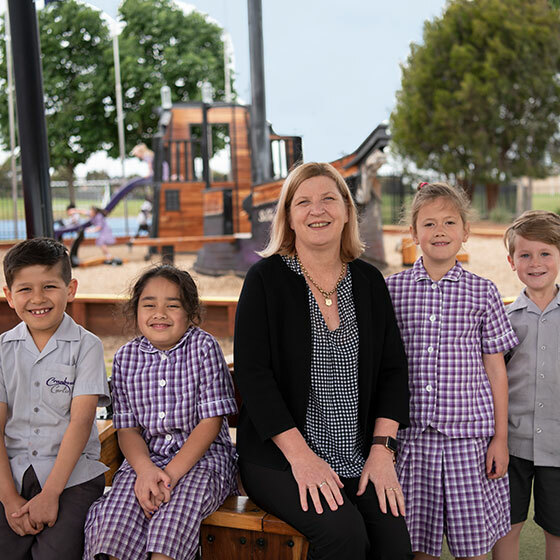 Cranbourne Carlisle children will strive to demonstrate the attributes of a lifelong learner: caring, balanced, reflective, inquirers, principled, thinkers, risk takers, communicators, knowledgeable and open minded. Enabling all children to participate in high quality education is a responsibility shared by the school, parents and the children themselves. Working together, we can maximise the learning and development potential.